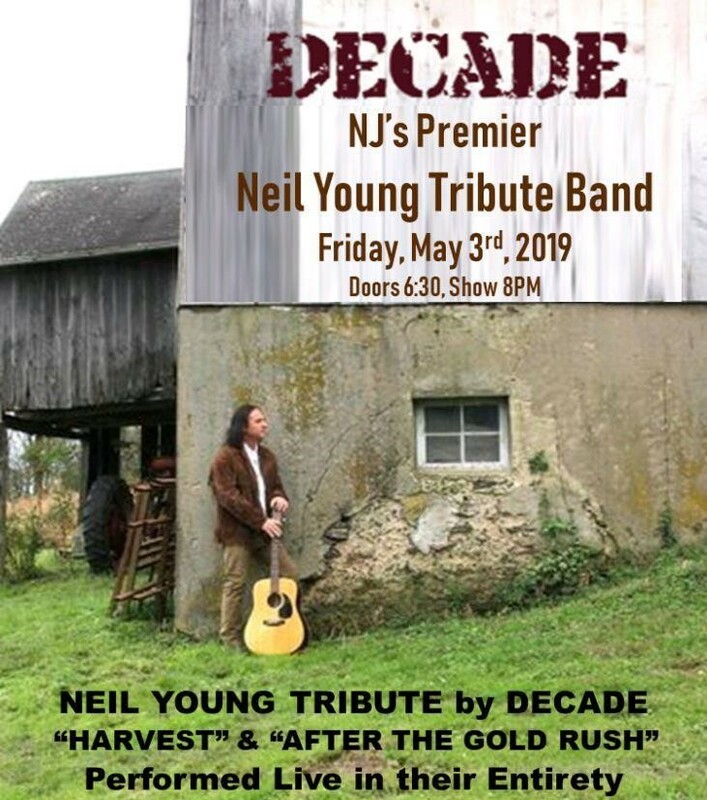 "Harvest" & "After The Gold Rush"
Decade is NJ's premier Neil Young Tribute Band! This band's strong attention to detail makes it a night you will never forget! On May 3rd, Decade will pay tribute to Neil Young's most famous albums "HARVEST" & "AFTER THE GOLD RUSH"! The spot-on Neil Young tribute band, Decade, will bring these albums back to life, with this live performance of every song from the 1970 and 1972 albums with stunning accuracy. Decade is led by front man John Hathaway performing as Neil. Joining him is an outstanding group of veteran Jersey Shore musicians including Gordon Bunker Strout on guitar, John Dickson on bass, Tom Stevenson backing vocals & banjo, Bob Giunco on drums & percussion, Dave O'Brien on pedal steel, Pam McCoy backng vocals and Jeff Levine on keyboard. Please join us at McLoone's Supper Club for this one of a kind performance.